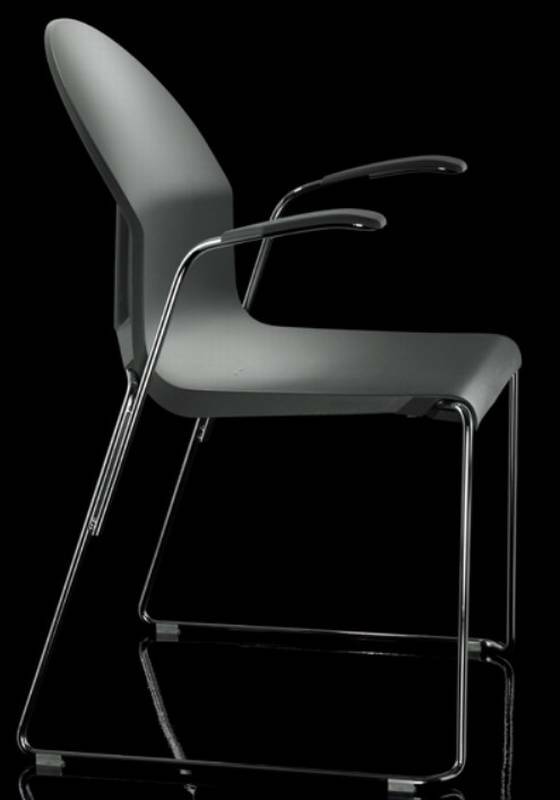 Description Stackable dining chair with arms, with steel frame and polypropylene seat. The frame is available in stainless steel (for outdoor use) or chromed finishes. Minimum order quantity is 4, but you can mix colours. A version without arms is also available (see related products below). Available in white, black, grey, red, yellow and olive green.